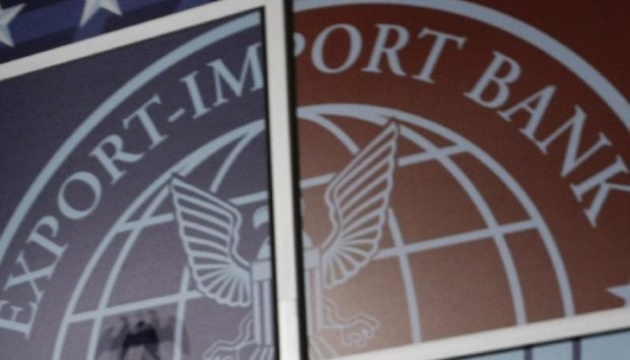 Ukraine had an almost 20-year-long experience of cooperation with the Export-Import Bank of the United States (EXIM Bank) starting from the 1990s. At the initial stage the main activity – provision of loans to Ukrainian companies, was backed by the state guarantees. However as considerable debts kept accumulating, the practice was stopped. Starting from 2002 Ukraine cooperated with the U.S. EXIM Bank in the framework of project financing including provision of loan guarantees, export insurance, financial support to foreign buyers of the U.S.-produced technical equipment etc. In 2014 the interagency council of the U.S. EXIM Bank that includes representatives of the U.S. state financial and economic agencies ceased operations with Ukraine due to high commercial risks. The dialogue between Ukraine and the U.S. on restarting the work of the EXIM Bank in Ukraine was ongoing at various levels, so was it during the visits to Washington of high-level Ukrainian officials and at the meetings that the Ambassador Extraordinary and Plenipotentiary of Ukraine to the USA Valeriy Chaly and the Embassy’s diplomats had with the representatives of the U.S. Administration that are responsible for the development of the bilateral trade and economic cooperation. The U.S. obviously wanted to see concrete examples of the reforms and of economic stability in Ukraine to restart the Bank’s work and assess the commercial guarantees they will have. So when in late 2018 after analyzing Ukraine’s current financial and economic condition, the interagency council of the U.S. EXIM Bank reviewed its preliminary decision and claimed ready to restart the cooperation, it came as a realistic assessment of our work over the recent years by our U.S. partners. It implies not just one sector, the decision became an indicator of the systematic work by the President of Ukraine, the Verkhovna Rada (Ukraine’s Parliament), the Cabinet of Ministers of Ukraine to ensure macroeconomic stability and quality structural changes in the country, set to improve the business climate, business conditions as well as to overcome corruption to attract foreign investment and increase the economic potential of our country. Extension of cooperation with the International Monetary Fund and the World Bank had an important impact on the EXIM Bank’s decision to return to Ukraine. Ukraine achieved trust by these international financial organizations, so it became a significant indicator for foreign investors as well. The meeting of the President of Ukraine Petro Poroshenko with representatives of the U.S. business community in New York demonstrated that the latter have a clear interest in expanding trade operations with Ukrainian companies. Restarting cooperation of the EXIM Bank in Ukraine is in fact a favorable lever to satisfy this demand, and is an important one for us to develop further. Cooperation with the U.S. EXIM Bank will enhance operational implementation for significant trade operations that were postponed for a long time due to the halted activities of the Bank in Ukraine. Among the bilateral projects that have prospects and can count on receiving the financial and loan support on the part of the U.S. EXIM Bank, to be mentioned is the supply to Ukraine of the “John Deere” agricultural equipment, of the “General Electric” locomotives and turbines, “Westinghouse”-produced nuclear fuel for Ukrainian nuclear power plants, cooperation with municipal-level authorities on the projects that improve the environmental condition particularly by means of projects on waste processing, sewage treatment etc. All these projects were elaborated and prepared by the Embassy in cooperation with the U.S. partners. As the U.S. EXIM Bank will restart its work in Ukraine, there is a direct possibility to implement the above projects as well as to continue close work with the U.S. side to expand cooperation and find new opportunities for financial cooperation. The Embassy together with business associations, in particular with the U.S.-Ukraine Business Council, is now planning to hold a series of seminars to explain the opportunities that the cooperation with the U.S. EXIM Bank brings to the table. We expect that it will help increase the bilateral business activities and the overall volume of the U.S.-Ukrainian trade.